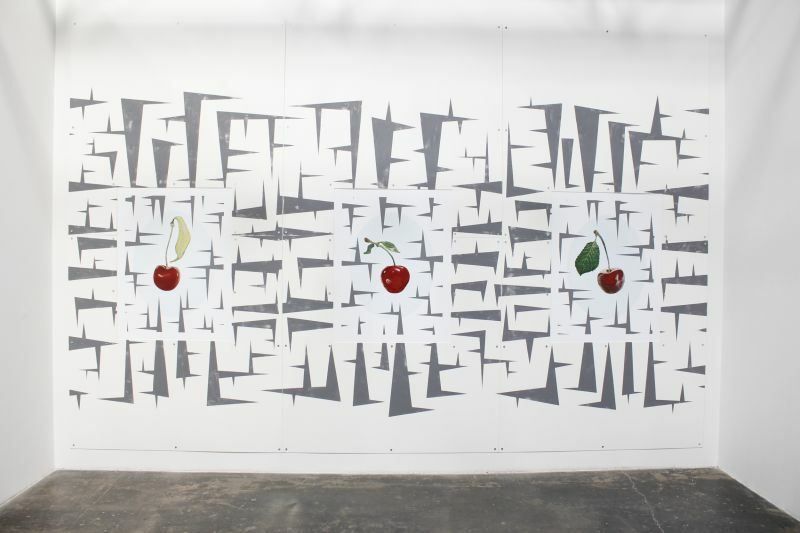 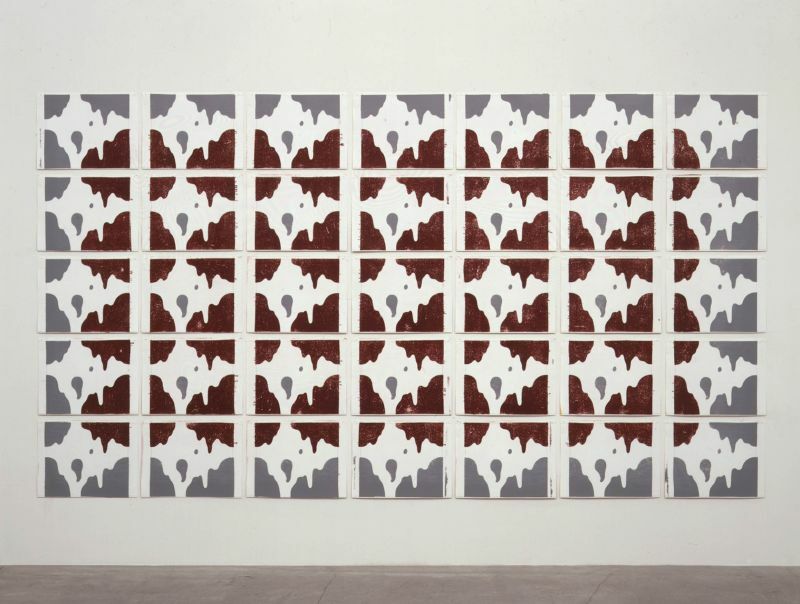 2011, acrylic on PVC panels, archival digital prints, hardware, 120 x 180 in./304.8 x 457.2 cm. 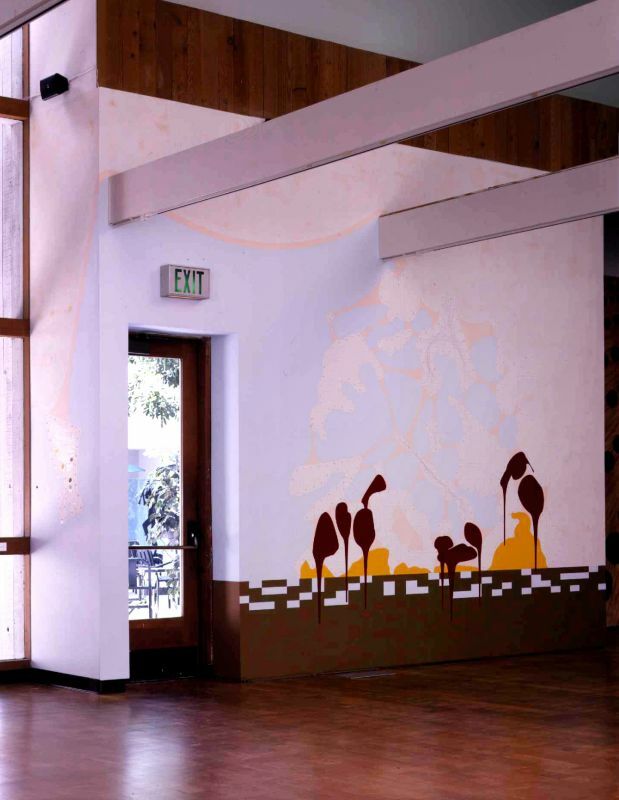 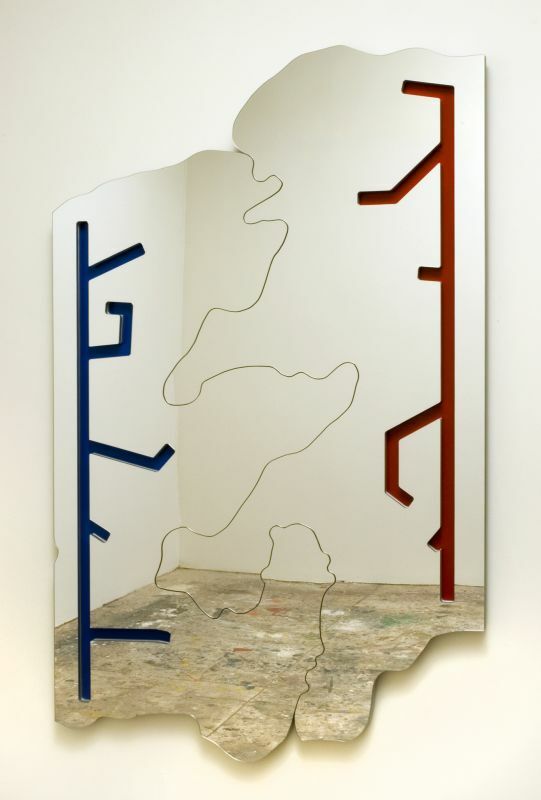 2005, mirrored Plexiglas, MDF and paint, 88-1/2 x 55 in./224.8 x 139.7 cm. 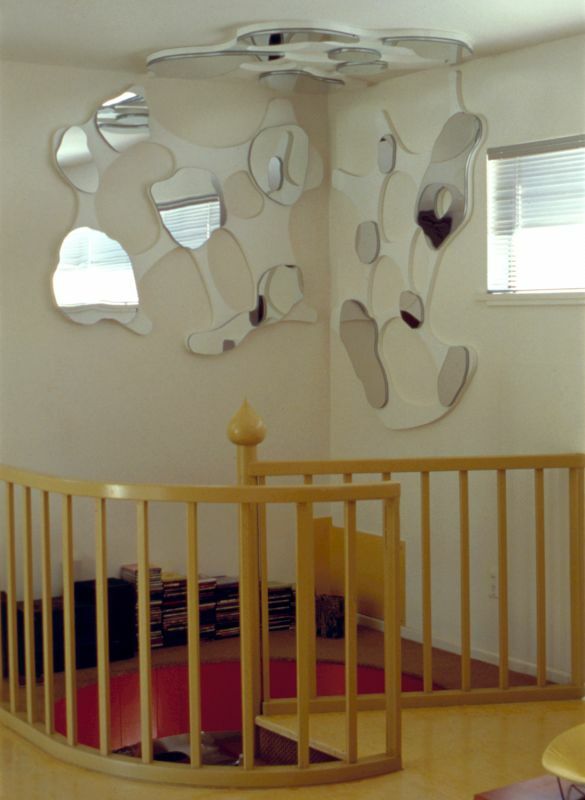 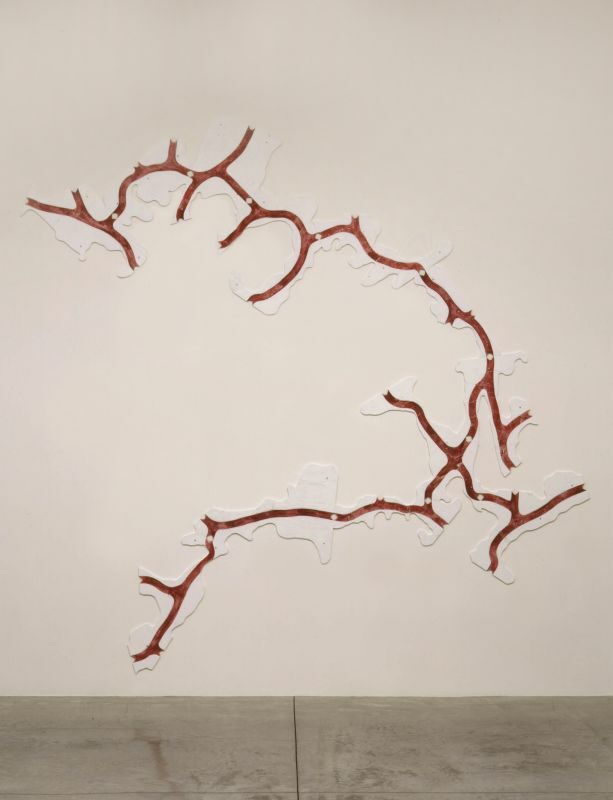 1999, mirrored Plexiglas, paint and MDF, 70 x 70 x 70 in./178 x 178 x 178 cm.